Which cities have abolished parking minimums? Abolishing parking minimums is a key element of Shoupista parking reform and of Adaptive Parking. So I often get asked to name places that have abolished parking minimums parking requirements. Including cities that now have no minimums in their city centre would yield a long list. I'm looking for examples of cities/places that have removed minimum parking requirements in a relatively comprehensive manner. By "comprehensive" I mean they have removed minimums from more than simply in the city centre. Can anyone point me to some good examples? London's the only one I have right now. My very short answer is this: various cities in England and some in Germany have comprehensively abolished parking minimums. But below the fold you will find a much longer answer. The English parking standards story required a lot of sniffing around. I have some open questions on the German situation. And both Paris and Japan get little mentions even though they have not really repealed their parking minimums. 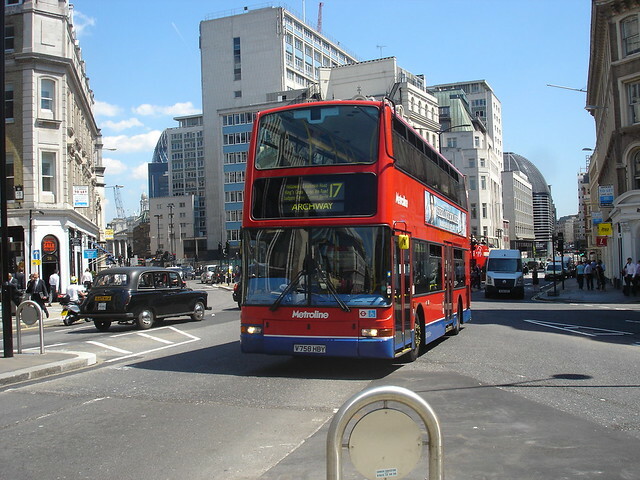 London is a prominent example of comprehensive parking minimum abolition. Since the 1990s, Germany's capital city, Berlin, has had no car parking requirements except possibly for parking for people with disabilities. Interestingly, it did not impose maximums either. My sources are conversations with several reliable people, including Mr Friedemann Kunst, Head Department of Transport of the Berlin Senate and Mr Eckhart Heinrichs of LK Argus consulting. For example, see also this presentation. This no-parking-minimums regime applies to the whole city of 3.3 million people and almost 900 square kilometres. Another interesting thing about Berlin. Parking within buildings is not exempted from counting towards the allowed floor area under the zoning rules (although outdoor surface parking is exempt), according to Mr Kunst. So developers in Berlin must sacrifice some other floor space if they want to provide parking in a building. WHAT ABOUT OTHER GERMAN CITIES? Many German cities do retain parking requirements. But I also expect to find that a number of other German cities have also abolished their parking minimums completely. Minimum parking requirements began in 1939 in Germany. However, according to Mr Heinrichs, they are no longer mandated by most States. Most now delegate the choice to the local governments. His impression was that a number of large cities have abolished their minimums completely. But I am not sure which ones. Can you help? As Zhan Guo and Shuai Ren report in Urban Studies (paywalled sorry), all of the London Boroughs abolished their minimum parking requirements and adopted maximums in 2004 or in the years soon after. The GLA policy in turn was in line with national policy guidance PPG13 for England, which was published in 2001 and said that car parking standards should be expressed as maximums not minimums and that developers should normally have discretion to provide as little parking as they consider necessary. The London Plan 2011 affirmed this approach (see chapter 6), retaining maximums for both residential and non-residential development. DOES ENGLAND GENERALLY HAVE MAXIMUMS AND NO MINIMUMS? In simple terms, most local governments in England have abolished many of their parking minimums and replaced most of them with parking maximums. However, some minimums remain for residential development. If you want the gory details about England, read on. Otherwise, skip down to the section on Paris below. A broad switch from minimums to maximums was enacted gradually from 2001 after PPG13 said parking standards should be maximums not minimums (as mentioned above in the London section). In 2009, Planning Policy Statement 4 (PPS4) (pdf) replaced PPG13. This new national planning guidance reaffirmed maximums not minimums for non-residential development. However, it encouraged local planning authorities to set locally determined maximum standards and minimums for parking for people with disabilities. And, importantly, it was silent on residential parking requirements. This came after much debate over the alleged failure of the parking maximums approach in areas with high car ownership. Some local authorities apparently took this as support for a change of policy and a return to residential minimums. But that is getting ahead of the story. What did England's local authorities do in the 2000s under PPG13? Did they all trade their earlier parking minimums for maximums? I wish I could say that the answer is simply, yes. But a bit of digging suggests things are more complex. According to a 2008 study by Atkins for the UK Department of Transport (pdf) most England local authorities had by then abolished parking minimums and instead imposed maximums. It looked at parking standards in 185 English local authorities. Of these, 184 had done so but they varied in how restrictive were the maximum standards. This would seem to imply there were no minimums in these 184 local authorities. Unfortunately, it may not be so simple. Essex County Council published guidance on parking standards in 2009 for local authorities within it. It took the cue from PPS4 to recommend minimums for residential developments, while continuing to call for maximums for all other land uses. In these standards, the Council is setting maximum levels of parking for broad classes of development, except in the case of minimum standards for parking for disabled people, cycles, powered two wheelers and residential development in Zones 2 to 4. Consider also the City of Birmingham, which covers the core 1 million people in a metropolitan area of about 3.7 million. The City of Birmingham generally has no car parking minimums except for parking spaces for people with disabilities. It has maximums which are set according to accessibility criteria in three zones. These maximums are not especially restrictive but they are maximums. There are no minimums. This looks to me like the development control process for residential developments in Birmingham will probably treat the standard as a target to achieve on average rather than a maximum to apply to each proposal. So what is the bottom line on English parking minimums? As I currently understand it, most cities across England have parking maximums and no parking minimums for non-residential car parking, except to provide for parking for people with disabilities. It appears that residential parking minimums may not have gone extinct in England and that they may even be making a comeback, in a backlash after the period of maximums. I don't think this return to minimums has happened in London however. The London Plan still urges maximums not minimums. But I am not 100% certain if this is honoured by all of the Boroughs and I have not checked every Borough's parking policy. Can anyone help on this question? Am I correct? Does anyone want to set me straight? By the way, to add to our difficulty in understanding, the situation will probably now gradually change again as local authorities respond to new national planning guidance under the current Conservative - Liberal Democrat coalition government. Presumably this means that some English local governments may now again impose parking minimums for non-residential development again if they want to. Does anyone know of any that have done so or plan to do so? This is cheating a little but let's give Paris an honourable mention. It has de facto abolition across most of the area of the City of Paris (2 million people at the core of the metropolitan area) even though parking minimums are still on the books. If a development is 500 meters from a metro stop, there is no obligation to build parking, though it is allowed. ... Every 500–600 meters there is a metro in Paris and every 1.5–2 kilometers a regional rail station. Minimum requirements were eliminated while maximum parking for housing is one spot for every 100 m2. So, in practice parking minimums do not apply to most of the area of inner Paris. I am not sure about the rest of the metropolitan area however. Do you know of other examples? Can you help us fill in the details for the UK and Germany stories? How about places that have never had parking minimums in the first place? I imagine there must be such places somewhere in the world. Can you help? Later additions to this list, if any, will be posted under the tag "minimums abolitionists". JAPAN HAS MINIMUMS BUT "ONLY JUST"
Before ending I want to cheat again a little and briefly mention the case of Japan. Japan's cities are not parking minimums abolitionists. But maybe they don't need to be. As we explain in Parking Policy in Asian Cities (pp. 14-19), Japanese cities do all have parking minimums. But they are set at extremely low levels compared with most other countries. Furthermore, small buildings are exempt (below 1500 square metres of floor space) and the parking mandates phase in only very gradually as the floor area of the proposed building increases. They only reach full strength at about 6000 square metres of floor space. I have been meaning to write more on Japan's parking minimums. Another time. The metropolitan area of Paris still got parking minimums. It'll be changing, perhaps, for a part of the area with the PDUIF (regional plan of transportation - see http://pdu.stif.info/). But in fact it depends of the local politics of the suburb's cities of Paris, and it could take a long time to really do it. Thanks Phil. But note that this counts as cities that now have no minimums in their city centre (CBD). This post aimed to find places without parking minimums across a much wider area, ideally the whole metropolitan area! Early this year I ask Hamilton City NZ to provide information on its min parking requirements, suggesting they are too high. They referred me to NZTA Research Report 453, and these examples from the UK. Thanks Peter. I wonder if your Hamilton City official was cherry picking by finding UK examples of minimums when the bigger story is a shift to maximums in many places. One issue here is the Wales and Northern Ireland have different planning guidance systems from England (if I am not mistaken). Maybe they did not make the shift to maximums that was common across much of England? Secondly, I found when reading various English parking documents that the term "parking standards: is often used without specifying clearly if minimums or maximums are intended. Nevertheless, it is indeed true, even in England, that SOME councils have persisted with minimums in SOME areas. Hello. It's been four years, you need to update this post to encourage more and more societies world wide abolish the minimum parking space regulations. Does downtown need more parking?